A mom’s worst nightmare is when their child gets sick, but it’s even worse when there is nothing you can do about it. 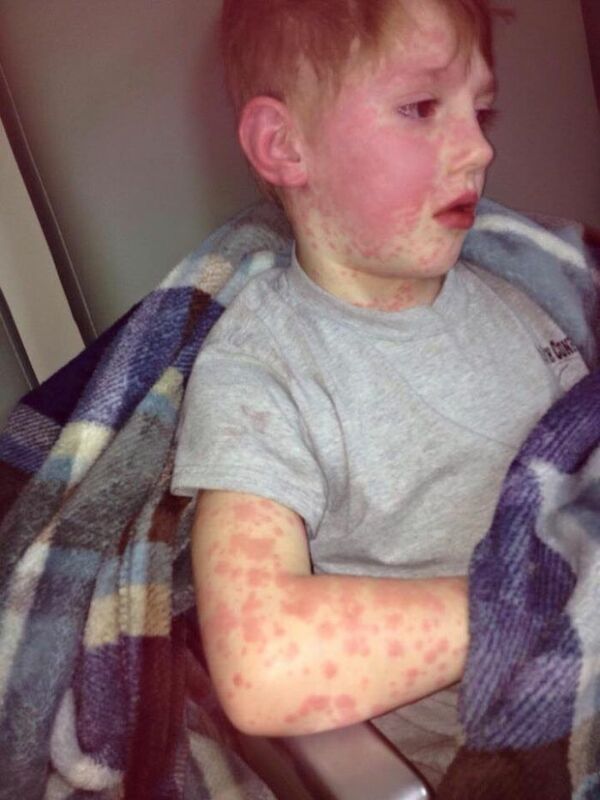 Mandy Suzanne Smith picked up her son Zachary from school as he was complaining of poison oak on his foot and his eyes were itchy. The next day, the rash had spread onto his entire body and he was running a fever. Doctors first thought it was some type of viral infection, but the medications he was prescribed weren’t working and his symptoms worsened. His eyes were blood shot red and his lips were beginning to crack and peal. The doctors then discovered that Zachary had SJS (Stevens Johnson syndrome). It literally burns you from the inside out. He had been taking a medication called lamotrigine (lamictal) for migraines. He was diagnosed with Stevens Johnson Syndrome. 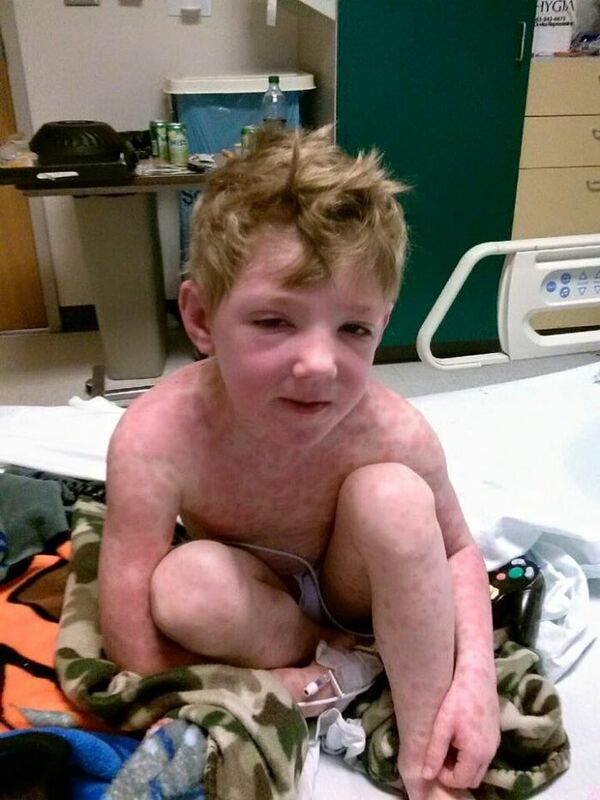 It got worse and worse until 90% of the child’s skin was affected and it spread to his lungs. He screamed in agony as his skin blistered off. They flew him to a burn unit where they had to induce a coma. Doctors removed his skin and wrapped him head to toe so it could grow back. No one knew if he would make it. But Zachary did and aside from his hair needing to grow back, he looks brand new. There is no telling what side effects there will down the line. Zachary told his parents that while he was in his coma, he was never actually asleep and that a strong angel named Samson held him in his arms. He said that he had also seen his “mawmaw patsy” that had passed. Zachary said he laid in her lap and she scratched his back. This looks like a miracle from God. I’m just grateful he seems all better and healthy now. What a nightmare.